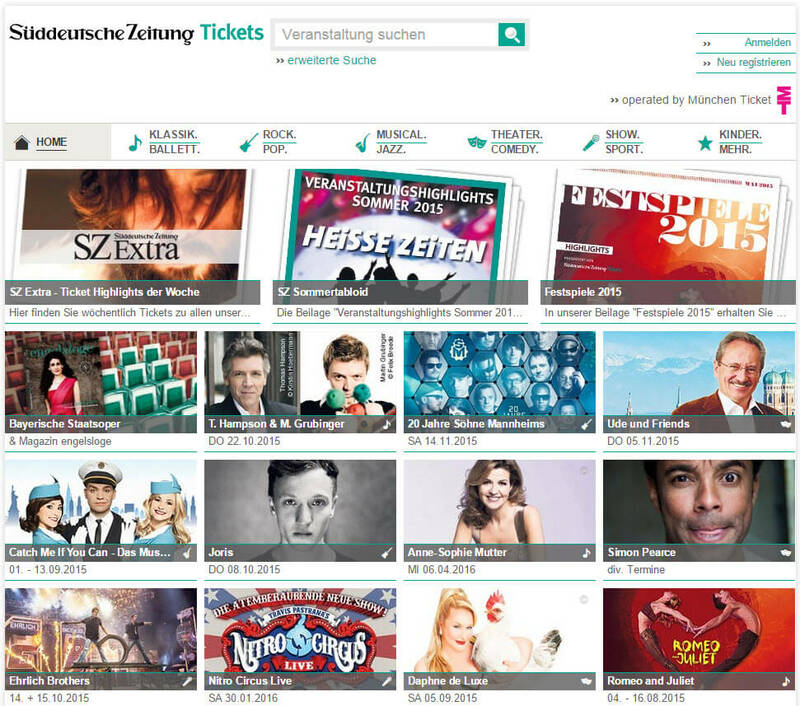 A ticket portal for Süddeutsche Zeitung developed and operated by headissue. It leverages the branding and affiliate functions of the München Ticket portal. The modular and component-based architecture allows a flexible adaption to specific needs of business partners.